Are you finding the search for used auto parts for your Saab more than you bargained for? Are you having a tough time trying to find inexpensive, available parts for the Saab 9-2X, Saab 9-3, Saab 9-5, Saab 9-7x, Saab 9000, Saab 900? AutoPartSearch.com can take the frustration out of tracking down used car parts for your discontinued model Saab and give you more options than you thought possible. With access to a Huge Inventory of salvaged cars and trucks, you can feel confident that you will locate your part in minutes and at prices that won’t leave you feeling strapped for cash. Oh, and one more thing, all of this can be done using our user-friendly online search feature to find, order, purchase and ship them as easy as pie. 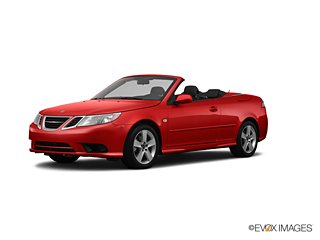 Would you like to make some changes to your Saab body or engine? Aftermarket auto parts can take your Saab to a whole new level. Maybe you want to add some extra pep or a cool front spoiler feature. Our site can also provide you with many online choices in Aftermarket auto parts. Please give careful consideration to your fit specifications and if you have questions or need details about match potential contact our support team for assistance. Junkyards actually help the environment by letting parts live out their life cycle before they are disposed of as waste products. Landfills and oceans are less impacted by pollution and the energy it takes to make the products especially steel conserves valuable resources. Each used auto part you use makes a wonderful impact on our ecosystem.